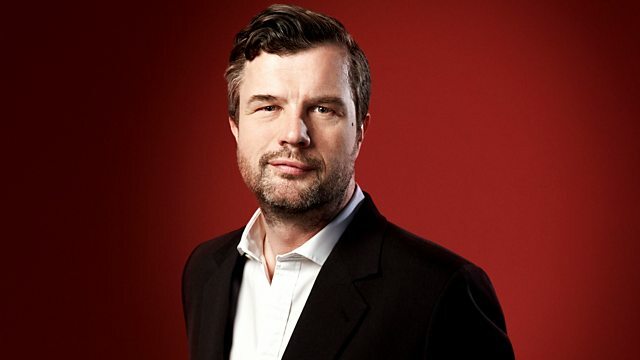 Petroc Trelawny presents Radio 3's classical breakfast show. This month we are featuring a daily prelude and fugue from Book 2 of Bach's Well-Tempered Clavier, and today's is No.11 in F major, BWV.880. Also including listener requests and the Breakfast Advent Calendar. Singer: Lorraine Hunt Lieberson. Orchestra: Freiburg Baroque Orchestra. Conductor: Nicholas McGegan. Singer: Mark Padmore. Performer: Richard Watkins. Performer: Paul Lewis. Choir: Choir of King’s College, Cambridge. Director: Stephen Cleobury. A Year at King's: Choir of King's College, Cambridge, Stephen Cleobury. Performer: Astor Piazzolla. Ensemble: Kronos Quartet. Piazzolla: Five tango sensations: Kronos Quartet/Piazzolla. Performer: Itzhak Perlman. Orchestra: New York Philharmonic. Conductor: Zubin Mehta. Saint-Saens: Introduktion und Rondo Capriccioso: Perman. Orchestra: Bol'shoi Simfonicheskiy Orkestr. Conductor: Alexander Lazarev. Bach: Preludes And Fugues BWV 846-893. Choir: London Symphony Chorus. Orchestra: Royal Northern Sinfonia. Conductor: Richard Hickox. Elgar: The Spirit of England. Performer: Alan Civil. Performer: John Wilbraham. Performer: John Iveson. Music Arranger: Anthony Payne. Singer: Roderick Williams. Orchestra: Bergen Philharmonic Orchestra. Conductor: Sir Andrew Davis. Performer: Jordi Savall. Ensemble: Le Concert des Nations. Director: Jordi Savall. Le Concert Spirituel: Le Concert des Nations / Jordi Savall. Ligeti: The Complete Piano Music, Vol. 2. Choir: Theatre of Voices. Director: Paul Hillier. Performer: Herman Krebbers. Orchestra: Royal Concertgebouw Orchestra. Conductor: Kirill Kondrashin. Rimsky-Korsakov: Scheherazade: Concertgebouw Orchestra, Kondrashin.